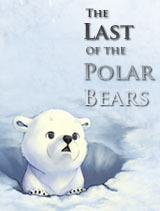 If you enjoy reading The Last of the Polar Bears, consider linking to it on your website to help spread the word! Thanks! Feel free to use one of these banners. Need a different size? Let me know and I’ll put together a new one.